April 1st is a special day in the village of Grand Lake Stream – it’s opening day of fishing!!!! 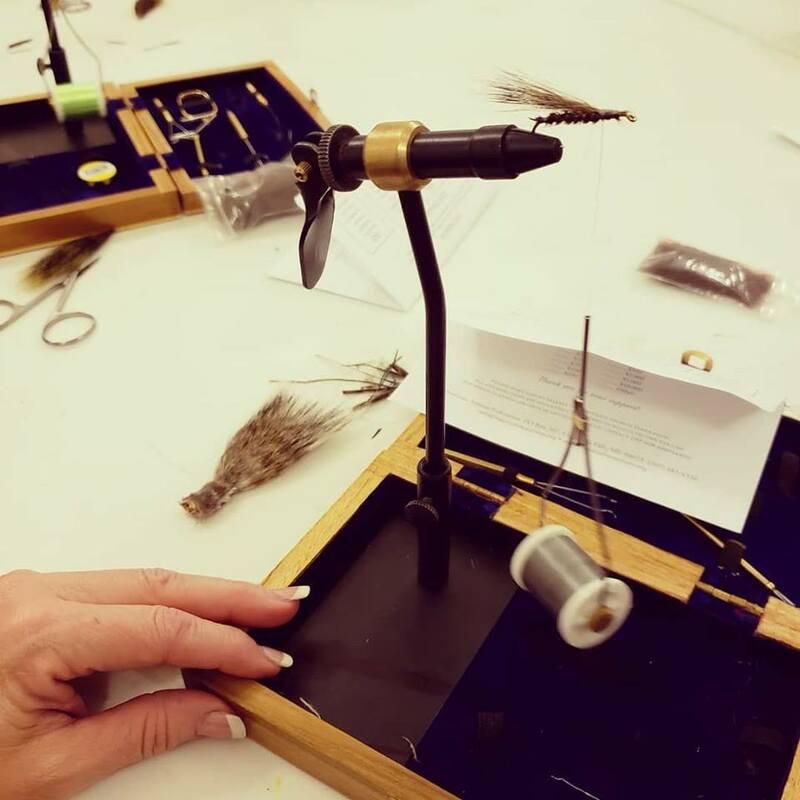 Celebrate opening day with a free fly tying workshop. Join Downeast Salmon Federation (DSF), Maine Outdoor School, and Downeast Lakes Land Trust (DLLT) to learn the basics of how to make traditional fishing flies used in fly-fishing. Also, learn about the conservation efforts DLLT and DSF are engaged in. Interested participants should meet at the legendary Pine Tree Store at 6 pm, and DLLT will provide free pizza. Every participant will walk away with their very own hand-tied fly! This workshop is made possible by the generous support from the Belvedere Traditional Handcrafts Fund through Maine Community Foundation. Photo and Video credit: Maine Outdoor School. For more information, please email Joe at joseph@maineoutdoorschool.org, or Colin at cbrown@downeastlakes.org.